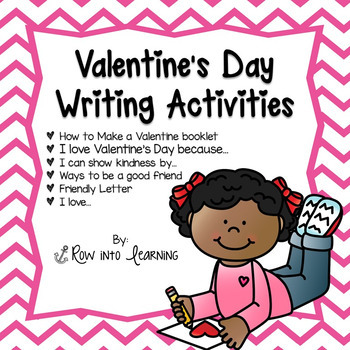 This product contains six writing activities for Valentine’s day for your students! 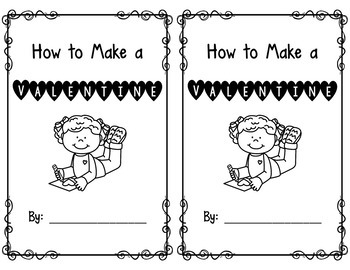 ~ How to Make a Valentine booklet – Use this booklet for a how-to writing activity. 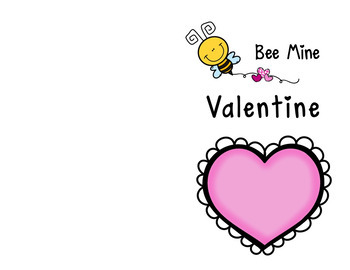 Together as a class, brainstorm how you could make a Valentine for someone special. 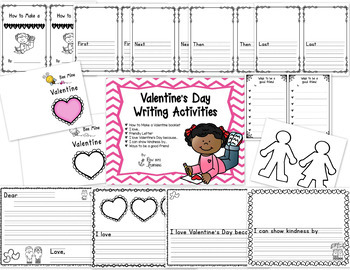 Included is a card so your students can make a Valentine at the end of the writing piece, or have your students create a unique Valentine of their own! ~ I love… - Write about something or someone you love and explain why. ~ Friendly Letter – Write a friendly letter to a loved one and let them know how much you love them. ~ I love Valentine’s Day because… - Write about why you love Valentine’s Day. ~ I can show kindness by… - Together as a class, brainstorm ways to show kindness. Students will write about how they can show kindness to someone. ~ Ways to be a good friend – Write a list with ways you can be a good friend! Included is a template of blank kids for students to illustrate how they can be a good friend.